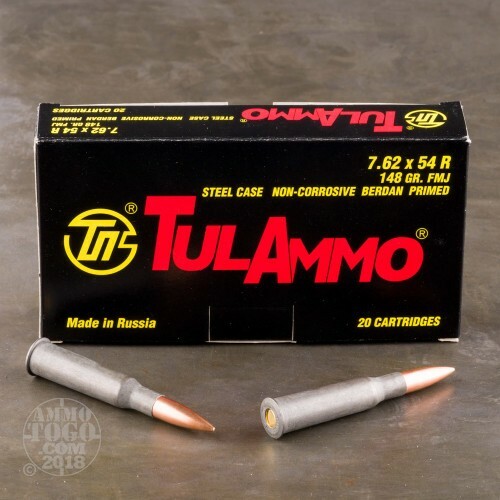 This Tula 7.62x54R ammunition is the perfect alternative to Russian, Bulgarian, and other Soviet surplus ammo. This ammo is cheap and it is non-corrosive. Firing corrosive ammunition leave salts in the barrel and on the bolt face of your rifle, and if not adequately cleaned, will have detrimental effects on your firearm. 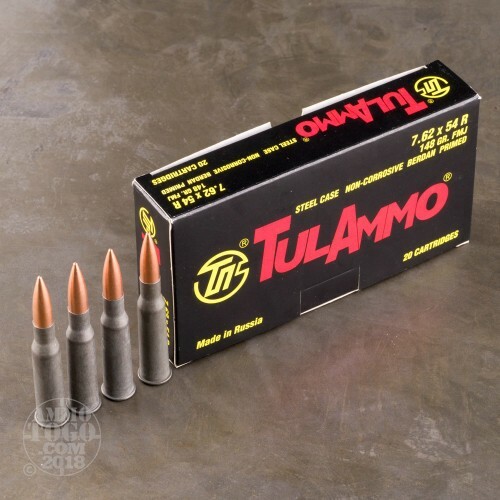 That issue is solved with this Tula ammo. It uses polymer coated steel cases, non-corrosive powder, and non-corrosive Berdan primers. 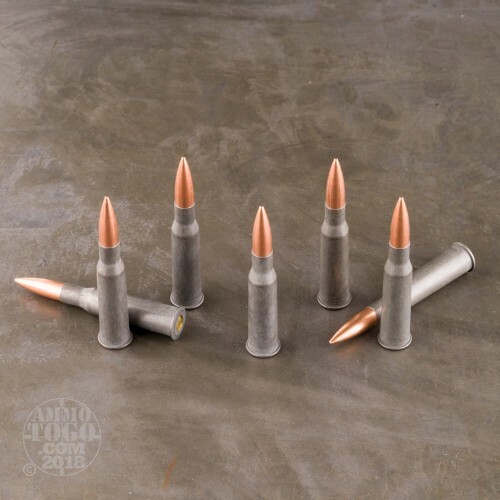 It is loaded with an accurate 148 grain full metal jacket bullet, which will perform at least as well as, if not better than, any normal surplus ammo. 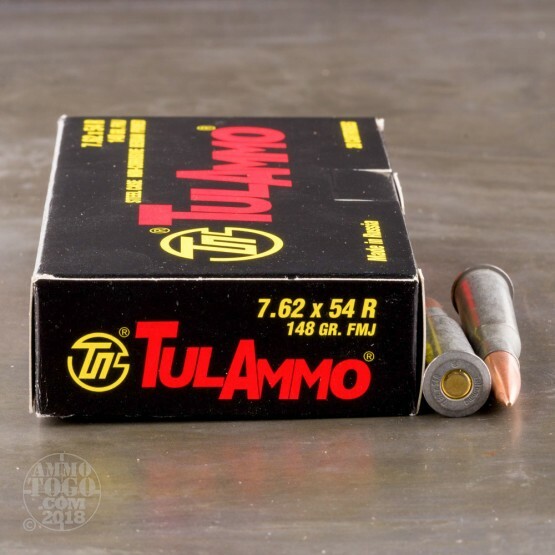 Order your Tula ammo toady, and spend less time cleaning that old Mosin!